Evangelizing the Nations in THIS Generation! History is “His story!” Both sacred and secular history is the record of God’s interactions with mankind. Yet, as Solomon wrote in Ecclesiastes, “What has been will be again, what has been done will be done again.” As many historians have noted, “History repeats itself!” The men of Issachar joined David’s small, “divisive,” but rapidly growing movement, because they “understood the times and knew what Israel should do.” (1 Chronicles 12:32) The best approach to understanding our times and what “spiritual Israel” - disciples - should do, is to parallel our recent history with the corresponding Biblical times. Thus, “history speaks for itself.” For this reason, we are releasing - on the SoldOut Movement websites - all of the bulletins during the epic years of Kip McKean’s Ministry beginning in Lexington, a suburb of Boston (1979-1989) to Los Angeles (1990-2001) through his sabbatical (2001-2003) to Portland (2003-2007) and back to Los Angeles, where he serves the City of Angels International Christian Church (2007- present). Particularly exciting in the bulletins are the detailed documentations of all the Boston Movement and SoldOut Movement church plantings - highlighted by the church plantings Kip and Elena personally led: Manila, Philippines (1989); Bangkok, Thailand (1989); Moscow, Russia (1991); St. Petersburg, Russia (1992); and Los Angeles (2007), as well as their life-threatening days of leading the church in Cairo, Egypt (1989). Sacred history has provided movement after movement from which to search for parallels to our times. There are the “movements” of Adam; Noah; Moses; each of the judges; David; the kingships of Judah - especially Asa, Hezekiah and Josiah; the return of the Babylonian exiles to Zion; and Jesus’ Movement - the first century church - which evangelized the world in their generation. (Colossians 1:23) Thought provoking parallels to our day can also be found in secular history by researching such movements as Luther’s Protestant Reformation; Loyola’s Jesuit Counter-Reformation Movement; the Methodist Movement of the Wesley brothers; Alexander Campbell’s Christian Connection (Restoration) Movement and its divisions - the Disciples of Christ, the Mainline Church of Christ, the Conservative Christian Churches; the Crossroads (Campus Ministry) Total Commitment Movement; the Boston Movement - the International Churches of Christ; and presently, the new SoldOut Discipling Movement. Most of these movements, recorded in both sacred and secular history, start from a very small remnant with one leader, which God builds into a great nation - sadly, only to crumble by apostasy. Then, God starts again with a new remnant. Judges 2 shows the pattern of man, movement, maintenance, then monument - apathy and apostasy. “The people served the Lord throughout the lifetime of Joshua and the elders who had outlived him… After that… the Israelites provoked the Lord to anger, because they forsook the Lord and served Baal and the Ashtoreths… Whenever Israel went out to fight, the hand of the Lord was against them to defeat them… They were in great distress. Then the Lord raised up [leaders] who saved them… Whenever the Lord raised up a [leader] for them, He was with the [leader] and saved them out of the hand of their enemies as long as the [leader] lived. For the Lord had compassion on them as they groaned under those who had oppressed and afflicted them. But when the [leader] died, the people returned to ways even more corrupt than their fathers.”From the book of Judges, we learn that God responds to the prayers of His distressed people by saving them through raising up a human leader. God’s man begins God’s movement. While God’s man lives, the movement is maintained and usually prospers. When he dies, or like Gideon steps down, God’s people depart from God’s ways - the movement dies - and only a monument of memories remains. The 1979-2001 bulletins from Boston and Los Angeles offer many of Kip’s first person accounts of his vision of world evangelism in a generation; his perspectives of other Christians outside his influence; the evolution of effective methodologies of church building - regions, sectors, house churches, Bible Talks, discipleship partners, etc. ; the restoration of lost Biblical doctrines - the role of evangelists, the role of women, calling out the remnant; and each bulletin records the efforts of evangelism and shepherding - locally and worldwide. A more concise and sweeping view of these times, can be gleaned from Kip’s Revolution Through Restoration I and II. Intermingled in the Boston and Los Angeles bulletin articles are very credible second and third person accounts of Kip and Elena’s Ministry - the Boston Movement, which was officially named the International Churches of Christ (ICOC) in 1994. In September of 2001 through early 2003, the McKeans were forced to go on sabbatical by some Absolamic followers and some who were simply oblivious to all the ramifications of having no central leader. So painful to Kip and Elena was the use of a crisis in the McKean family to drive the McKeans from leadership - at least for a while. This was a time of silence in Kip’s writings. However, he documents his Biblical convictions and perspective on the ICOC’s rapid departure from the Boston Movement’s original theology to a more mainline theology in Revolution Through Restoration III, which he completed in July 2003. Also, in this document, Kip - as with David - humbly acknowledges his own sins and shortcomings. Yet in all his writings from 1979 to the present, Kip never surrenders Jesus’ dream - the evangelization of the nations in a generation! 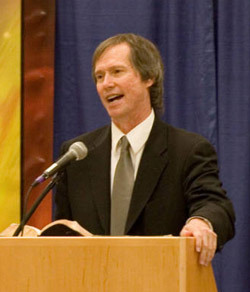 In 2002 at the Long Beach Unity Meeting, a central leader and the Central Leadership of the ICOC - the World Sector Leaders - were dismantled in shame and called “unbiblical;” the mainline church government of autonomy was embraced in place of Kip’s so called “evil system” of evangelists overseeing churches in groups of nations; and the dream of world evangelism was called “impossible,” and for preaching this dream, Kip was labeled a “false prophet,” and later, “divisive.” In February 2003, with no central leadership to oppose it, the “Kriete Letter” - persuasively penned with half-truths and a bitter call to rebellion - devastated almost all the ICOC Churches around the world with thousands falling away or walking away, for the ICOC Central Leadership no longer existed to protect the churches and keep them unified. During the dark days of April 2003, Elena and Kip made a courageous stand against the new direction of the ICOC, which resulted in their losing almost everything. Then in July 2003, the Spirit sent the McKeans to Portland, Oregon - a church that was extremely decimated by the ICOC’s return to mainline theology. With the Spirit working through the McKeans’ innovative and inspirational leadership, the Portland Church grew faster than any ICOC church in the world! The success of holding to God’s sacred truths brought a renewed influence to the McKeans, which threatened the leaders who orchestrated the new direction of the ICOC. In 2005, 65 of the ICOC’s evangelists and elders wrote a letter to the entire ICOC maligning Kip and Elena with personal attacks to their character. This conflict climaxed in September 2006, when the McKeans were asked by the Hilo leadership to disciple the Hilo International Church of Christ. Vicious opposition to this event came from the Los Angeles ICOC leadership. This in turn led to a small group of heroic LA disciples taking a stand against the apostasy by starting a remnant group. Then in October 2006, God put on Kip’s heart to start what naysayers called the “SoldOut Movement”, also labeled the “Portland Movement” since the McKeans served the Lord in Portland. 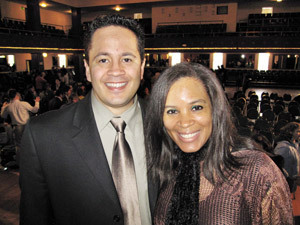 In November 2006, Tracy and I moved from Portland back to LA to strengthen the heavily persecuted remnant group. In May 2007, God answered our prayers and the prayers of many by sending Kip and Elena - with a mission team of 40 from Portland - to Los Angeles to establish the City of Angels International Christian Church. In the first year, we witnessed 104 baptisms and 60 restorations! In the next six months, the Spirit sent out 40 disciples from the City of Angeles Church to plant three churches! The Portland bulletins - from 2003 through early 2007 - and the City of Angels Church bulletins detail these events up to the present. Aaron and Jason were baptized this past week at the Sheraton! In this century, God has blessed us with the internet. Let “history speak for itself” as you read the historical account of two movements - the Boston Movement and the SoldOut Movement - which in fact are one-in-the-same movement with the same core convictions of its leader. This movement of God has been the origin of faith for thousands of souls in over 170 nations around the world! If you were baptized in Boston in the 1980’s or in Portland in 2003-2007 or in the City of Angels in 2007-present, you will find the record of your baptism as well as the baptisms of your friends! We are praying that moved by these recollections, you will return to your earlier convictions of God’s sacred teachings that saved your soul. Lord willing, you will choose to join the SoldOut Discipling Movement - either selling everything to be able to move to become a member of one of our new movements’ congregations, or by coming together as a small remnant group as seen in 20 countries spanning every populated continent of the world! Pray that God continues to gather yet another of His movements as, “History repeats itself!” To God be all the glory!